It is reasonably well understood that predators can influence populations of other predators via direct predation or displacement. Studies in North America, for example, suggest that coyotes can reduce fox abundance, while data from Australia suggest dingoes may also displace foxes; neither species has, however, ever been native to Britain, which would complicate any introduction. Additionally, there are data to suggest that, under certain circumstances, wolves and lynx will kill foxes and that, the latter at least, could do so in sufficient numbers to impact the local fox population. 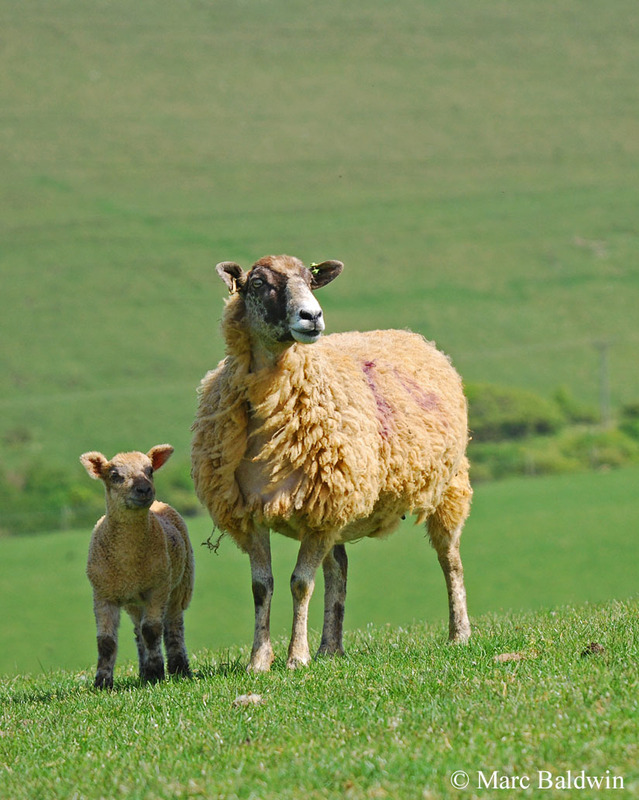 Nonetheless, the reintroduction of large carnivores is a highly contentious issue and unlikely to gain widespread public support, particularly among the farming community. Indeed, considering many find it difficult to live with a relatively inoffensive mesopredator such as the fox, it is difficult to see how larger macropredators such as wolves or bears would be viewed. Public perception aside, there are problems when it comes to using large carnivores to suppress populations of smaller ones. Not only can we not control what large predators choose to eat, but tracking studies in Canada and parts of Europe suggest that wolves and lynx avoid human settlements, which could result in urban areas becoming fox refuges, inadvertently worsening the situation. In addition, it seems probable that foxes may actually benefit from scavenging kill remains left by large carnivores as appears to be the case between foxes and wolves in North America. Overall, large predator introduction is unlikely to be either practical or effective as a means of fox control in the UK. 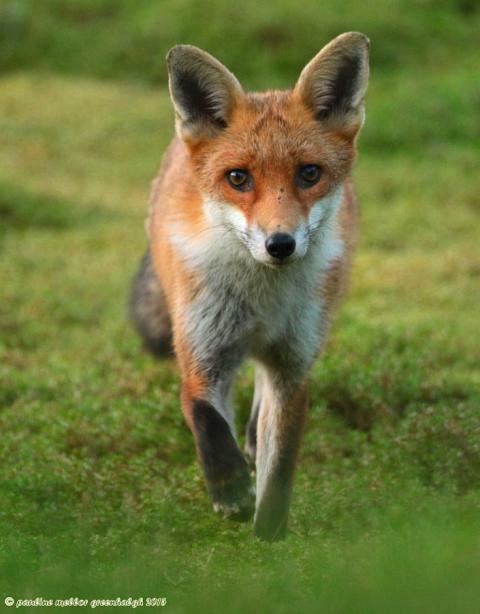 In recent years, often in response to stories of foxes biting people that have made the tabloids, local authorities have faced increasing calls by the public to control what many perceive as an increasing fox population. Various suggestions have appeared in the media, including sending out marksmen to shoot city foxes or making local councils responsible for trapping and euthanizing them. Some suggestions in the papers have argued that there are no controls on Britain’s fox population and we should reintroduce large carnivores to regulate their numbers. I find it hard to believe this is a serious suggestion (at the very least it seems a little like, to paraphrase the late great David Bowie, trying to ‘put out fire with gasoline’), but it does raise an interesting question: if we still had large predators such as wolves, bears and lynx, could they control fox numbers? It is, after all, well known that the removal of top predators from an ecosystem can result in populations of smaller predators increasing – this is a process known as mesopredator release. Before we look at these large carnivorans (or ‘macropredators’) in greater detail, let us first approach the subject of population control by predators. Most of us know that predators can affect the numbers of their prey, but how do predators influence the populations of other predators? There are two main factors to consider here and they are not necessarily mutually exclusive. The first, and perhaps most obvious, method is when the predator becomes the prey, an adder eating a lizard or osprey eating a pike, for example. This is a phenomenon called intraguild predation or superpredation. Alternatively, one predator may chase away (displace) or kill but not eat another another. Grey wolves (Canis lupus) will, for example, kill coyotes (Canis latrans) but show no interest eating them, while brown bears (Ursus arctos) are known to kill smaller black bears (Ursus americanus) but consume very little, if any, of the carcass. Indeed, it is comparatively uncommon for one large carnivoran (i.e. member of the Carnivora) to eat each other and the aim is actually to remove a potential competitor – it’s about resource security. This phenomenon is known as competitive displacement and, put simply, it occurs when an individual or species cannot survive (or has reduced survival) in an area because the resources are dominated by another animal/species. So, if you’re a wolf, for example, keeping coyotes out of the area means more resources (food, water, den sites, etc.) for your pack. The wolves may not be able to totally exclude all coyotes, but reducing the number trespassing is often sufficient to reap the benefits. So, predators can influence the distribution and numbers of other predators, either through direct predation, or competitive displacement, or a combination of both. Britain has a largely predator-free landscape today, and the practice of hunting with hounds was seen by many as a surrogate for predation – the only control on the fox population. Since the inception of the Hunting Act (2004), it is now illegal to hunt foxes using a pack of hounds and the subsequent reduction in the number of foxes killed by organized hunts has presumably fuelled fears that fox numbers are growing ‘out of control’. I have discussed how fox populations are regulated and the data we have on fox numbers in Britain elsewhere (see QAs and Abundance & Population), but sufficed to say foxes are subject to natural predation in Britain, but none that appears significant in terms of population control. Fox cubs can fall prey to various larger carnivores, including badgers, birds of prey and even domestic dogs and cats. Adult foxes, however, have relatively few predators and, for the most part, predation comes from the skies. 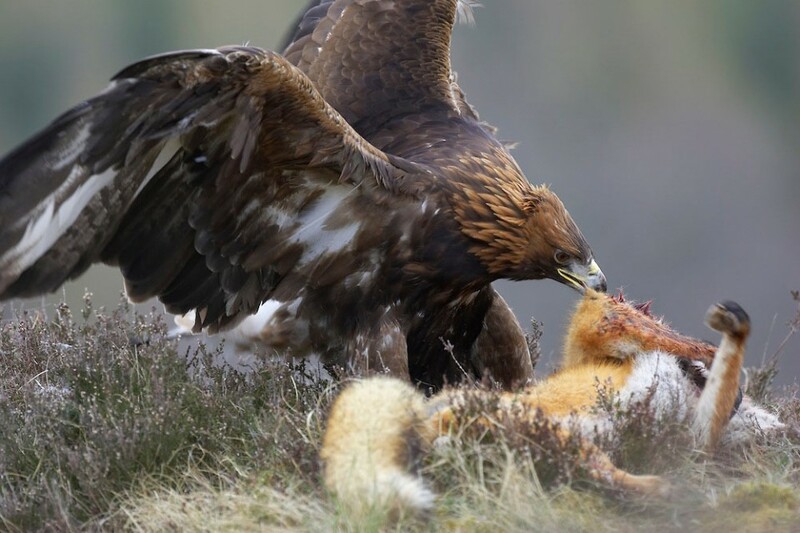 Golden eagles (Aquila chrysaetos) are more than capable of killing an adult fox. There has been some debate as to the maximum size of fox an eagle could fly away with, but there are several reports (including by Lea MacNally in his Highland Deer Forest) of adult foxes in eyries. Most studies of eagle diet in Britain lump foxes in as ‘other mammals’ in their datasets, which makes it difficult to assess how frequently they’re taken, although in a 2005 information note by the Forestry Commission, foxes are listed as ‘occasional’ prey of eagles in the Hebrides. Studies of eagle populations elsewhere suggest Red foxes comprise up to 10% of the diet. Fox remains have also been found during dietary studies of eagle owls (Bubo bubo), although with a much lower frequency (less than 1%). It should also be noted that remains in the diet doesn’t necessarily imply predation; scavenging is an equally likely explanation. 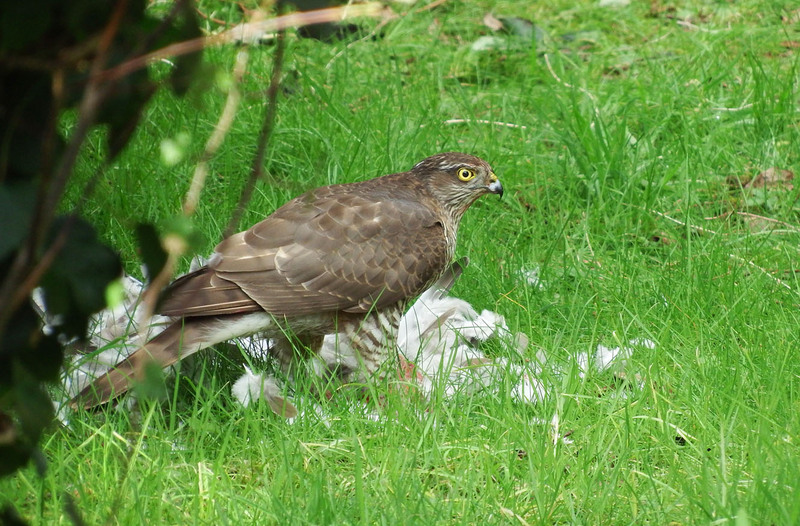 Furthermore, the range of these raptors in Britain is highly restricted and there is certainly no suggestion that either species hunt in urban areas. Foxes will displace other foxes and there are numerous descriptions of fatal fights between them. There are also instances of badgers occasionally predating adult foxes; there are reports in the literature of fights, and during social interactions it appears that badgers are dominant. Nonetheless, any fatalities appear to be rare and in most cases the foxes simply keep their distance. There is, nonetheless, an interesting proposal that badgers may influence fox numbers through competitive displacement. In 2008, a team of biologists at the Food and Environment Research Agency in York published a paper in the journal Biology Letters suggesting that where badgers were controlled, fox numbers increased. The data, collected during the Randomized Badger Culling Trials (RBCT) show that in the regions where badgers were heavily culled, fox numbers increased by around two animals per sq-kilometre compared with areas where no culling took place. The suggestion is that badgers and foxes compete for many of the same resources (i.e. suitable den sites and food such as earthworms) and when badger numbers decline it leaves more room and food for the foxes. This is, of course, only a single study and one should be cautious about inferring too much, but it is an interesting suggestion that warrants further investigation, especially given that badgers are an increasingly common sight in our towns and cities. Britain has had a rather turbulent history with the wolf and it was widely persecuted by farmers and aristocrats alike. Archaeological evidence puts wolves in Britain as far back as the Pliocene (5.3 – 2.5 million years ago) and suggests that they were relatively widespread, which is supported by many wolf-related place names and both Roman and Saxon Chronicles. King Edward I was probably the first monarch to pass an extirpation order on the wolves in his kingdom during the late 13th century and bounties remained in many counties until the early 19th century. Nobody is quite sure when the UK’s last wild wolf was killed. Some sources suggest that Sir Ewan Cameron shot the last one in Scotland during 1680, while others suggest it was a hunter called MacQueen who presented the head of Scotland’s last wolf to the Laird of MacIntosh during 1743. In England, the suggestion is that the extinction of the wolf occurred at some point during the late 1400s, under the reign of Henry VII, although sporadic references in the literature continue until at least the 16th century. In Ireland extirpation orders were passed in the early 1600s resulting in the complete removal of the species during the late 18th Century; in his The History of British Mammals, Derek Yalden gives the last record as coming from Mount Leinster on the Carlow/Wexford border in south-east Ireland around 1786. There have, over the years, been several calls to reintroduce wolves to Britain, usually as a means of controlling deer. Indeed, in 1986 a proposal was put forward to introduce wolves on the Isle of Rum, off the west coast of Scotland, to regulate the Red deer (Cervus elaphus) population. More recently, in 1999, Aberdeen University zoologist Martyn Gorman called for wolves to be reintroduced to the Scottish Highlands with a view to controlling the deer that were causing damage to the commercial plantations. It has been suggested recently that, if wolves were present in Britain, they would also act to control the fox population, but there is surprisingly little evidence to support such a claim. Indeed, wolves may actually be beneficial to foxes. A recent study by Taal Levi and Christopher Wilmers, published in the journal Ecology during 2012, looked at the interaction between wolves, coyotes and Red foxes in Minnesota, USA. Taal and Wilmers studied the relationships of these species in three areas: a forested area, where wolves were relatively common; farmland where wolves were absent; and a transition zone between the two where wolves were in low abundance. The biologists found that foxes were relatively abundant in the forest, less so in the transition zone and significantly less abundant in the farmland. So, there was a positive correlation between wolf abundance and fox abundance, but why? The answer, it appears, is the presence of coyotes. As discussed below, coyotes are known to suppress fox numbers but wolves see coyotes as direct competitors for resources, unlike the much smaller foxes, and actively attack them. Consequently, where the wolves were abundant, coyotes were rare. More wolves resulted in fewer coyotes and fewer coyotes meant more foxes. In other words, the foxes follow the wolves looking for a free meal but reduce the chance of a confrontation by keeping their distance. These data deal with fox-wolf interactions in rural areas and the recent outcry has been regarding urban foxes. Even if we did have evidence that wolves could regulate fox numbers, their urban influence could be limited. In his 1999 book, The History of British Mammals, Derek Yalden wrote that “wolves are scared of people”. Tracking studies certainly suggest wolves generally avoid human settlements and only recently have we started to see some evidence of trips into towns. A study underway by the Urban Wolf Study Group (based in part at Nipissing University) aims to use DNA analysis and telemetry to find out if wolves are venturing into the city limits of North Bay in north-east Ontario – there is some suggestion these may actually be wolf-dog hybrids. Similarly, in their 2003 book Wolves: Behavior, Ecology and Conservation, David Mech and Luigi Boitani note that wolves in parts of India are known to den in urban areas. Nonetheless, most tracking studies in North America and parts of Europe (e.g. Spain and Italy) have shown that wolves actively avoid contact with humans. 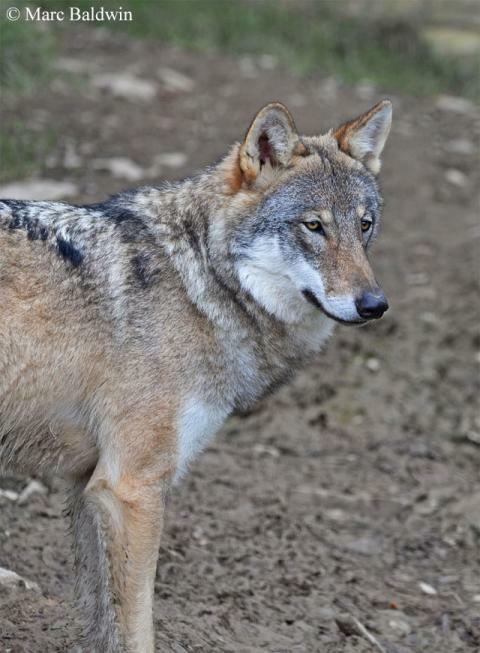 Recently, concern has been raised that wolves are abandoning some of the otherwise suitable habitat in Jasper National Park, in the Canadian Rocky Mountains, because of disturbance caused by hikers. So, observations that wolves typically avoid human settlements implies that, even if wolves were introduced to Britain and foxes actively avoided them, our towns and cities could become enemy-free space for foxes (i.e. a safe haven from the predators roaming the countryside). 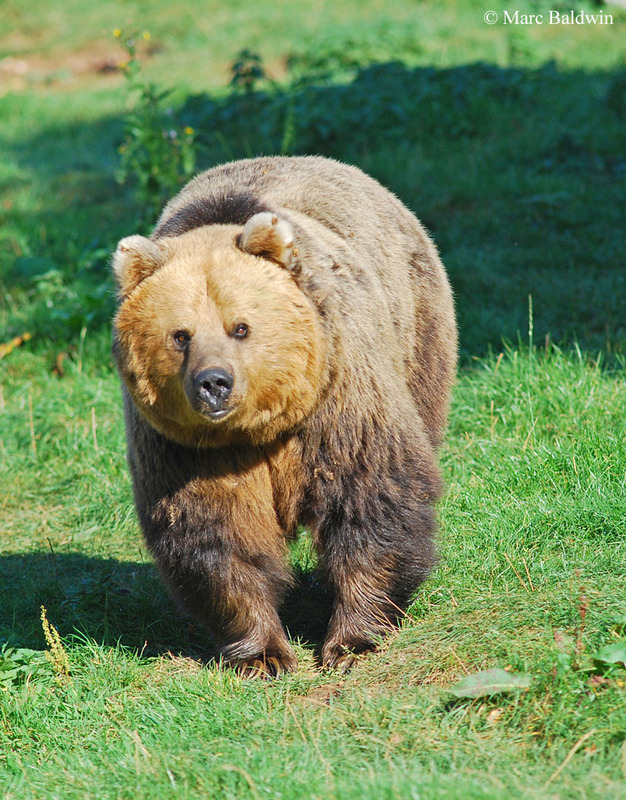 Despite some archaeological evidence for Brown bears (Ursus arctos) in Britain dating to the Middle Ages, according to Yalden’s 1999 opus, evidence of their survival post-Roman times is negligible. Yalden suggests that it is prudent to assume that this species died out about 2,000 years ago, during the Roman occupation. There are much later records, from Elizabethan times, but these were almost certainly of animals imported for entertainment (i.e. bear baiting) purposes. There are, to the best of my knowledge, no studies looking at whether Brown bears influence fox populations. The only reference I have come across is the description of an incident during June 1940, where a fox followed and watched a bear digging out ground squirrels for almost two hours, as recounted by Mech in his 1966 report. At no point did the bear seem bothered by the fox’s presence, although the fox was observed to keep a safe distance. The two species may compete for some of the same prey (e.g. small mammals and berries), but both are highly catholic feeders and competitive displacement seems unlikely. Likewise, Brown bears may chase foxes from their kills, but they don’t appear to actively predate them and it seems probable that, as with wolves, foxes may ultimately prosper from scavenging kill remains. 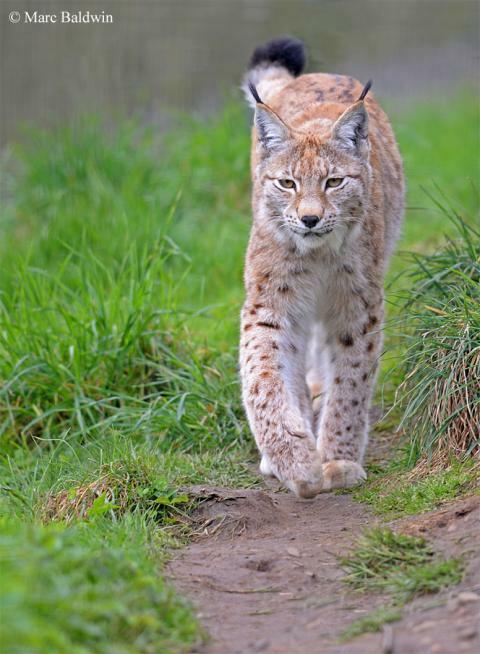 Until recently, archaeological evidence suggested that Eurasian lynx (Lynx lynx) became extinct in Britain late in the Mesolithic period, some 5,000 years ago. Despite this, there was some controversy because at least one early Cumbric text describes lynx hunts in the Lake District during the 7th Century. More recently, radiocarbon dating of lynx skeletal remains discovered at Reindeer Cave in Highlands in 1972 yielded an age of around 1,770 years, suggesting that lynx were in the Scotland during the Roman occupation. In a 2006 paper to the Journal of Quaternary Science, David Hetherington, Tom Lord and Roger Jacobi presented their analysis of remains recovered from caves in the Cavern area of north Yorkshire. The Cavern remains gave dates of 1,842 and 1,550 years BP, the latter representing the youngest date for any lynx remains found in Britain thus far and suggesting that lynx were in England during early Anglo-saxon times. In 1994, Eric Lindstrom and nine colleagues argued that the increase in Scandinavia’s fox population since the mid-1950s was at least partly a response to the absence of natural predator; primarily lynx. Based on work carried out in Sweden during the 1960s and 70s that found a negative spatial relationship between lynx and foxes (i.e. where lynx were present foxes were scarce), Lindstrom and his co-workers predicted that the fox population would decline if large carnivoran populations recovered. Indeed, tracking studies of lynx in the Swiss Jura Mountains by a team of biologists led by Anja Molinari-Jobin at Switzerland’s KORA Carnivore Research Centre during the 1990s, recorded unprecedented predation of foxes. The zoologists found annual average kill rates of 1.5 and 2.3 foxes per lone female and lone male lynx, respectively – it seems that subadults killed more foxes (6.1 each, on average) than the adults and each family group killed just over 13 foxes per year. Overall, 37 foxes were killed during a total of 1,156 days of lynx observation. There are some data from Canada suggesting that the lynx-to-fox ratio is an important factor regulating the latter’s any population. It appears that a decline in foxes becomes more likely as the ratio of lynx to foxes approaches one (i.e. an equal number of both species). Fox depredation may also be influenced by season (presumably with underlying prey cycle influences) and, in a study of lynx prey in northern Belarus during warm (April-October) and cold (November-December) seasons, Vadim Sidorovich found that foxes appeared in the diet more than twice as often in warm seasons than in cold (4.7% vs. 2 %, respectively). It should be noted that, as with wolves, lynx often make no attempt to consume the foxes they kill. In a 1999 paper to the journal Ecography, Danish zoologist Peter Sunde and two colleagues report that almost 40% of lynx-killed fox carcasses in their study were totally uneaten, whereas only 2% of the Roe deer (Capreolus capreolus) carcasses hadn’t been touched. Sunde and his co-workers concluded that lynx killed the foxes because they saw them as competitors, rather than as a potential meal. More recent work by Jenny Mattisson of Norwegian Institute for Nature Research and her colleagues, published in 2011, suggests that lynx are more likely to prey on foxes when access to herbivores, such as deer, is restricted; foxes aren’t a preferred prey item for these cats. So, lynx seem the most promising once-native carnivoran so far to effect a decline in the fox population but, as with wolves, there are the issues of benefits and refuges to contend with. Helldin and his colleagues noted that there has been a recent change in the foxes’ habitat preference in their study area, with a selection for the areas of farmland and human settlements that lynx do not inhabit. Thus, again, although it seems lynx may impact some rural fox populations, there is potential for urban areas to become a predator refuge for foxes. Moreover, in a 2007 paper to Wildlife Biology, Helldin and Anna Danielsson reported on the changes in fox diet since the colonisation of lynx in the southern Boreal forests of Sweden. Helldin and Danielsson noted that foxes were common scavengers of lynx kills and often followed lynx trails in search of a carcass. 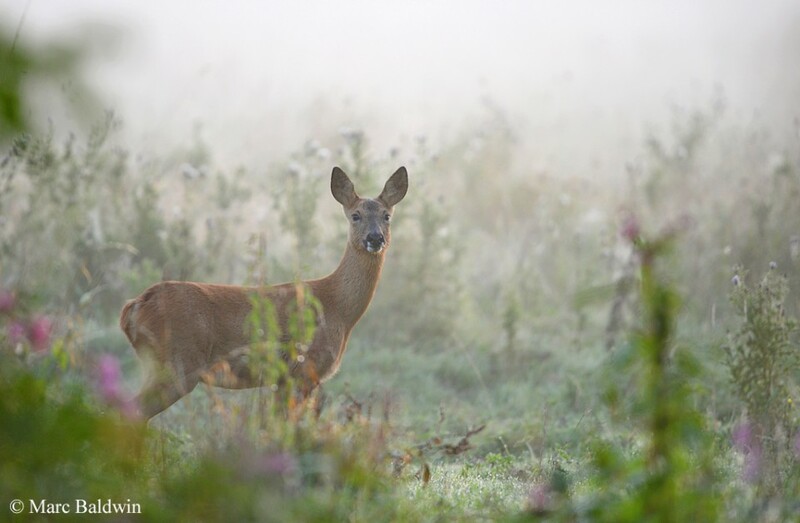 The biologists described access to the carcasses of Roe deer killed by lynx as “an important, stable food supply for red foxes”, being the single most important food item all year round. Snow-tracking on the Moosehead Plateau of western Maine (USA) between 1979 and 1982 commonly found bobcat (Lynx rufus) tracks in traditional fox ranges and suggested that both species visited a deer carcass in the area. So, if neither wolves nor bears nor lynx are likely to be beneficial in controlling urban foxes, are there any large carnivorans that might? There is one, but it was never native to Britain. It has long been known that there is an apparent inverse relationship between the abundance of coyotes (Canis latrans) and red foxes – track counts have shown that as coyote numbers increase, fox numbers decrease. Coyotes, it seems, are far less tolerant of foxes in their ranges than any of the aforementioned carnivorans and foxes appear to be actively displaced. Telemetry studies of foxes and coyotes in Maine from the late-1970s until the mid-1980s found that their home ranges abutted, but did not overlap; foxes were not seen to use suitable habitat within coyote ranges. Indeed, similar studies have found that fox territories typically fall outside areas used by coyotes. This interference competition seems to manifest as coyotes being highly aggressive towards foxes and this causes foxes to avoid them; the overall number of foxes killed by coyotes doesn’t appear to be substantial. Indeed, in his 1986 review of the impacts of coyote control, Utah State University zoologist Robert Schmidt noted how, although coyote predation on foxes was relatively common, it was an insignificant source of fox mortality. 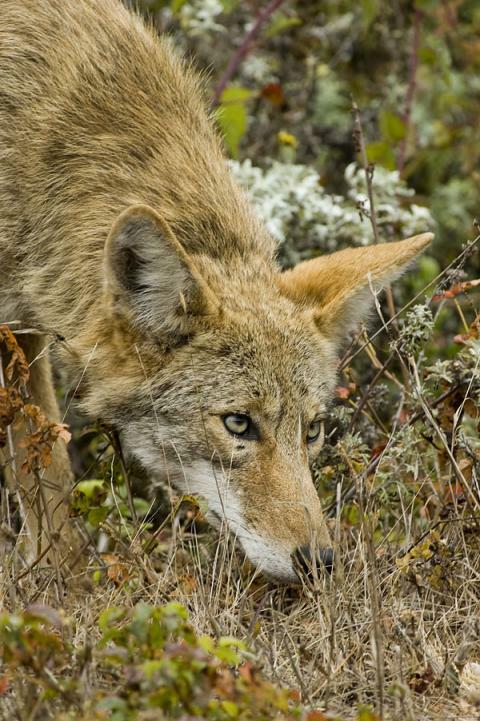 The relationship between foxes and coyotes has been studied in detail by U.S. Fish and Wildlife Service biologists Alan Sargeant and Steve Allen. In a 1989 paper to the Journal of Mammalogy, they presented 42 accounts of coyote-fox interactions, predominantly from North Dakota, made between 1970 and 1985. Most the accounts (71%) described aggression by coyotes towards foxes, with seven detailing the killing of the fox and five describing a coyote chasing a fox; additionally, three accounts told of eight fox cubs from six earths having been killed by coyotes. Interestingly, however, it seems that not all interactions end in aggression. Three accounts told of coyotes and foxes simultaneously occupying the same breeding den, one account of a coyote and fox feeding simultaneously on a cow carcass, and a case of a coyote that spent several minutes watching a couple of foxes mating from about 100m (328 ft.) before leaving. Nonetheless, except for one person who reported that he often saw coyotes and foxes apparently unconcerned with each other, most reports Sargeant and Allen received documented some form of hostility. It is interesting to note that this relationship may vary locally and an earlier study by the same authors found that none of the 22 foxes collared and tracked for 2,518 days in North Dakota were killed by the resident coyotes. 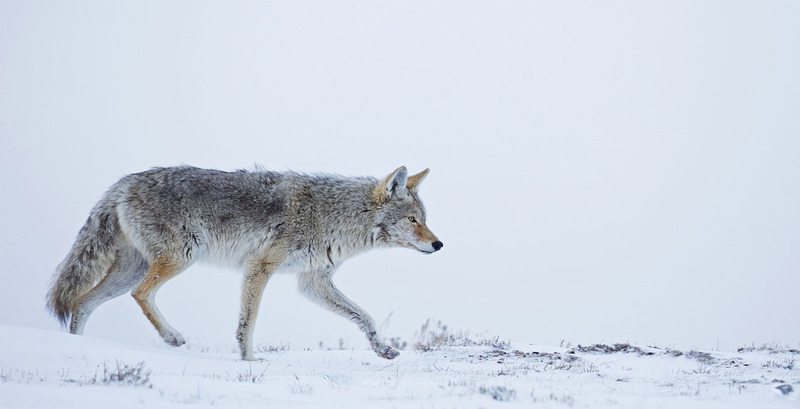 A subsequent study of coyote-fox interactions in Yellowstone National Park revealed a more even distribution of displacement and tolerance, finding that coyotes tolerated foxes in just over half the encounters and either deterred or actively displaced them in the other half. Apparently, in some cases, the sight of a family of coyotes lying up near a carcass was sufficient to deter approaching foxes. The studies to-date have documented coyotes displacing foxes in rural habitats and the situation is unclear in urban areas. In their contribution to the 1982 compendium Wild Mammals of North America, David Samuel and Brad Nelson point out that foxes tend to do well around human settlements, probably as a result of their being fewer coyotes. Obviously, this was more than three decades ago and today coyotes are far more common in urban areas. Nonetheless, there still doesn’t appear to be any data on their influence on urban fox populations and although, in their chapter in the 2010 Urban Carnivores compendium, Stanley Gehrt and Seth Riley make note of the coyote’s general tendency to displace foxes, there is no specific reference to the urban scenario. Regardless, coyotes do seem to be problematic for foxes and a recent decline in Illinois’ (eastern USA) foxes has been attributed, in part, to the eastward expansion of the coyote. So, why should coyotes be less tolerant of foxes than the other species we’ve considered? The answer is food. What we see is a scale of intolerance associated with perceived competition. 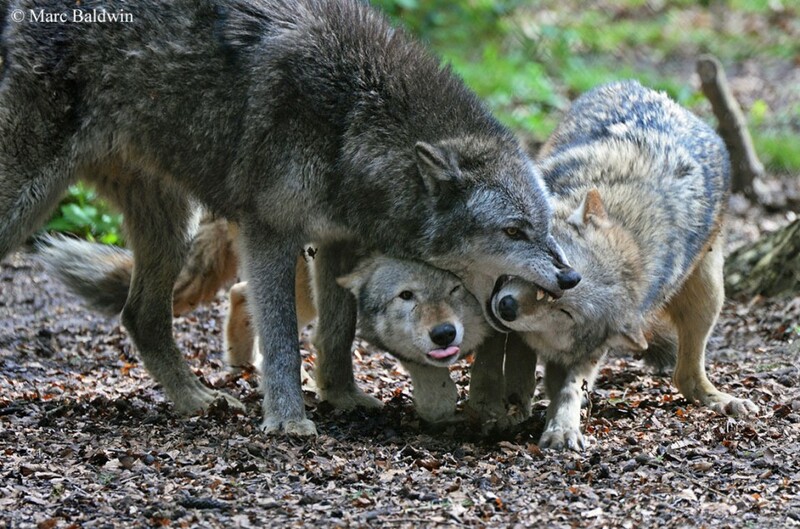 Wolves work together to bring down large prey (e.g. deer) that is simply too big for a fox to tackle and, aside from scavenging the odd bit of meat from a carcass, foxes don’t pose a threat to the wolves’ food supply. Similarly, lynx take Roe deer above the size limit foxes could manage; they also, however, feed heavily on snowshoe hares (Lepus americanus), which is an important prey item of the fox. Thus, the fox represents greater competition for the lynx than it does to the wolf and several studies in North America have now shown that as snowshoe hare populations decline, the incidents of lynx killing foxes goes up. Foxes and coyotes, on the other hand, feed largely on the same prey. Both species primarily eat small mammals (squirrels, rabbits, mice and voles and so forth) along with birds, insects and carrion and, in urban areas, both will take human food. In short, coyotes and foxes occupy very similar niches and consequently, foxes represent a significant competitor for coyotes. A coyote, therefore, has more reason than either a wolf or a lynx to ensure foxes don’t hang around to use up resources that would otherwise be theirs. Indeed, stable isotope data collected by researchers at the University of Illinois suggest that the presence of coyotes forces foxes away from their preferred prey of rabbits (which they eat in areas without coyotes) and on to rodents, birds and insects. So, coyotes have good reason not to want foxes around and, considering the difference in size (they can be more than twice the weight of an average adult fox) and that coyotes are often found in pairs or packs averaging six animals, the predominantly solitary foxes have good cause for avoiding them. Several studies in south Australia have demonstrated a negative relationship between dingoes and foxes and shown that, where dingoes are abundant and foxes rare, populations of ground-dwelling mammals weighing less than 5.5kg (12 lbs.) and bird species such as the little button-quail (Turnix velox) are also more abundant. Dingoes are also known to enter urban areas at night and so could potentially have an impact on urban fox numbers, although the data are lacking. 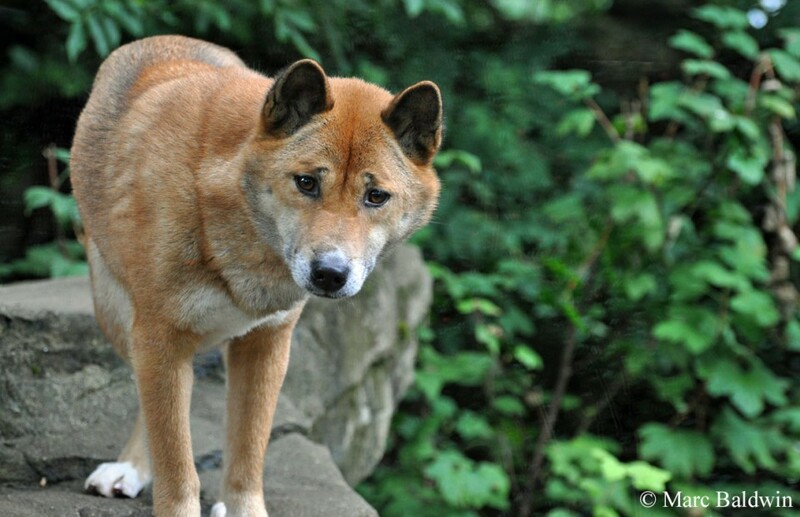 As with coyotes, dingoes have never been native to Britain, which would make an introduction highly unlikely. To the exclusion of the mysterious ‘big cats’ that have been reported from various parts of the country, Britain’s landscape has been free of large carnivorans since the extirpation of the wolf some 600 years ago and, despite many campaigns, there have been no reintroductions. A significant barrier to bringing large predators back to the British landscape is public perception of what many see as potentially dangerous animals. Over the years there have been several attempts to gain insight into how the public feel about the reintroduction of large carnivores to Britain. Probably the best-known survey was that initiated by wildlife photographers Peter Cairns and Mark Hamblin – together they launched the Tooth and Claw project. Peter and Mark spoke to a wide range of people and organisations associated with predator management, both here and abroad, and widely circulated a sizeable questionnaire to members of the public asking their views. I don’t want to go into much detail about the relationship between humans and predators, but the findings of the Tooth and Claw survey make fascinating reading; the reader is directed to Peter and Mark’s 2007 book Tooth and Claw: Living alongside Britain’s predators for an authoritative and incisive account. In general, it seems that the public have a somewhat fickle opinion of wildlife. Most people who completed the survey, for example, agreed that we had a responsibility to reintroduce wolves to the Scottish Highlands; but most in favour lived in the south of England and wouldn’t be directly affected. This is obviously a broad generalisation and doesn’t apply to everyone, but it does seem that without a true understanding of, and bond with, the natural world, predator reintroductions are unlikely to be accepted. Arguably, even if public opinion could be successfully won, it’s difficult to predict how successful a reintroduction would be. There are very few truly wild places left in the UK and it is unclear whether the level of disturbance across most of the country would lead to predators becoming restricted to these more remote areas. This seems particularly applicable to predators such as wolves and lynx which tend to avoid human contact unless habituated with food. In certain situations large carnivores such as lynx, coyotes and dingoes may be able to suppress or set an upper limit for fox populations. There is no evidence that wolves or bears reduce fox numbers and foxes may even benefit by scavenging from the carcasses they leave. Even where we have data showing an impact on fox numbers, these are from remote or rural landscapes and may not be an accurate picture of what would happen in Britain. Indeed, it is very unlikely that any of these predators would have an impact on urban fox numbers – they may even exacerbate the problem by forcing foxes into towns. At the same time, the process of reintroduction is fraught with complex ecological and social issues, making it both difficult and expensive. It must also be questioned whether people who struggle to deal with foxes in their gardens would be better disposed to coyotes, wolves or lynx. Overall, while many people would delight in seeing large predators roaming our countryside again, it seems very unlikely to happen and megacarnivores don’t appear to represent a solution to the problem of fox control in Britain.